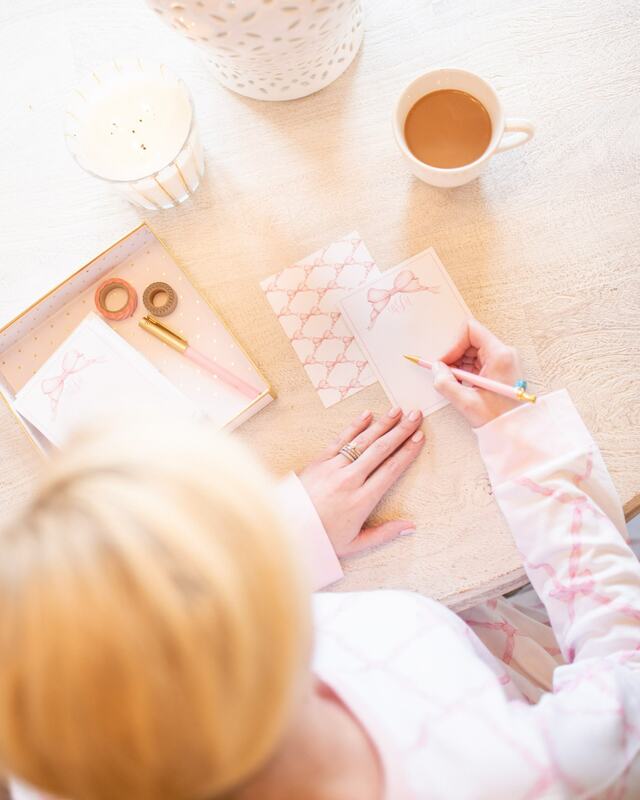 Who else LOVES snail mail?! I think it is so much fun to send and receive sweet cards and letters throughout the year! Now that Christmas is over, I always send a little note of thanks for all of the wonderful Christmas presents we received! It is so thoughtful, and I think a personalized note goes a long way! One of my favorite traditions each January is to pick out a new set of stationary! When I saw this pink bow stationary from SugarB Designs, I couldn’t resist this set! I think 2019 is the year of the bows for me! Charleston and I have these matching pink Belle Meade Bow Pajamas that coordinate perfectly!Carrie Beth, the amazing artist behind SugarB Designs, has so many wonderful prints for both you and your little one! I’m also thinking about ordering Charleston some personalized stationary for her upcoming 1st birthday! Next Post Spring Dress SALE!